Even a relatively small leak can result in extensive, expensive repairs. The key to damage control has always been to catch moisture problems early, but only now is there an affordable and effective, truly homeowner-friendly means of doing so. With the exception of fire, water poses the greatest threat to our homes, whether it’s a slow-and-steady leak or a sudden flood. In fact, it’s estimated that every year, moisture plays a role in property loss claims to the tune of $11 billion. To help homeowners fend off expensive damage, dozens of manufacturers have brought water leak alarms to the market. But until now, those products were often too cheap to be effective or too expensive for many to adopt. Thankfully, that’s no longer true. The WallyHome Water Sensing System has made leak detection not only more affordable, but potentially more effective. Whereas some competing leak detectors simply make noise, albeit a piercingly loud alarm, when triggered, Wally recognizes that you might not always be at home when a problem arises. So, when one of its sensors registers a red flag—moisture, or a worrying change in humidity or temperature—you immediately get a text message or email notification about the issue. Operating on 10-year batteries, Wally sensors are small enough to fit beneath or adjacent to all the most common sources of leaks, including kitchen appliances, toilets, sump pumps, and water heaters. Those sensors communicate readings back to the system hub, which in turn updates your Internet monitoring account. No matter where you are, you can log on to the Wally site or its companion smartphone apps to check on things. Here, you can also configure your own custom alerts. Once bitten, twice shy: For those who have shelled out thousands for extensive water damage repair in the past, it’s probably easy to justify the purchase price for Wally, because the system promises to catch problems while they’re still small and manageable. 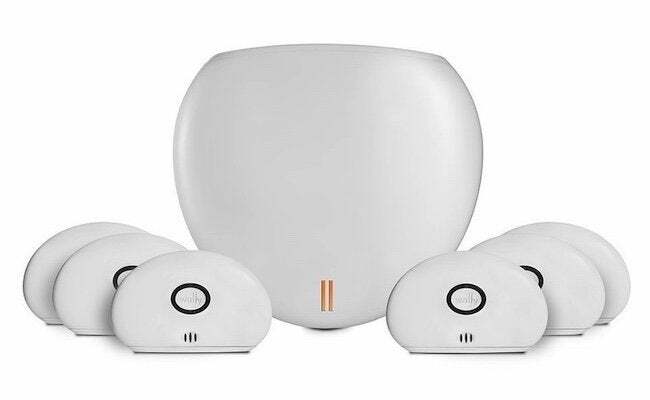 The kit comes with six sensors; if necessary, you can always buy more, either individually or in packages of six. There are no monthly charges, and because it’s easy enough to set up yourself, there’s no hefty pro installation fee to cough up. Of course, for all its virtues, Wally can sense only those leaks that occur within the radius of its sensors, and some of the most devastating water damage stems not from known problem areas, but from areas within walls or under flooring. These are spots where you either are unable to place, or wouldn’t anticipate the need for, a leak detector. 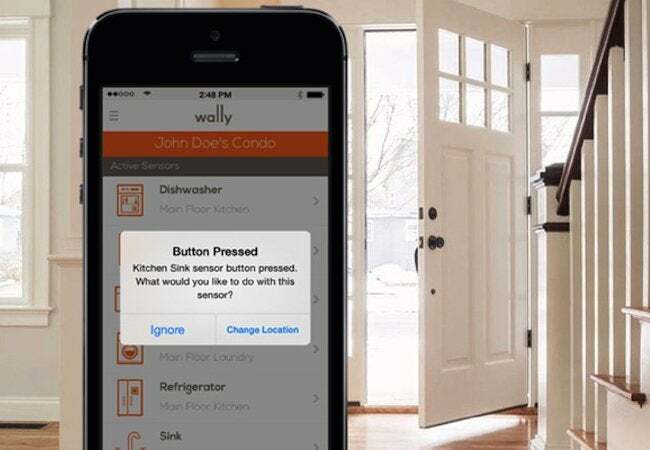 That said, the company behind Wally plans to develop additional sensors that should allow homeowners to better handle problems, expected and not. Purchase WallyHome Leak Detection System, $299.